1. Print the tickets on patterned paper, cut out and perforate between the tickets. If your trimmer doesn’t have a perforating blade just use a craft knife and metal rule. 2. Take out a discard the outer sleeve. Cover the drawer with patterned paper inside and out. 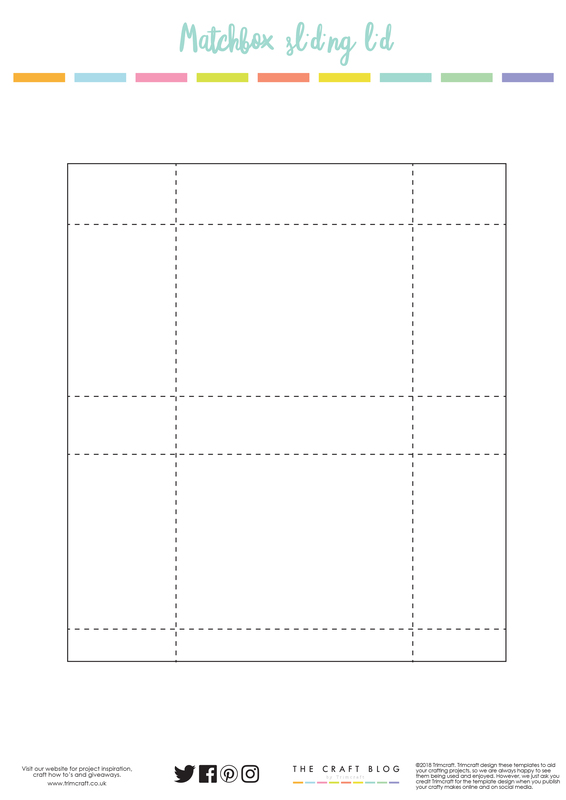 3.Cut a piece of the beautiful Let’s Celebrate patterned paper for the box sleeve, double the length of the drawer plus 0.5cm and long enough to wrap around the drawer with a 1cm overlap. 4. Score the box sleeve to fit the drawer as shown on the scoring template. Fold in the two long sides and glue to make the cover double thickness. Fold at the score lines. 5. Now, join a couple of ticket strips together, ensuring you don’t apply glue over the perforation. Fold in an accordion and pop into the box drawer. 6. Create a small ‘A’ frame from glitter card, I used leftover Christmas tags and adhere one of the ticket sentiments trimmed to fit. 7. Cut a narrow slot a little wider than the tickets 1cm from one end of the box sleeve and embellish your box with paper flowers and pearls! 8. Wrap a piece of ribbon around the box and over the ticket end just in front of the slot and glue to secure at the base of the box. Add pearls to act as box feet. 9. Thread the end of the first ticket through the slot and seal the box cover around the drawer with the 1cm tab to the inside for a neat finish. 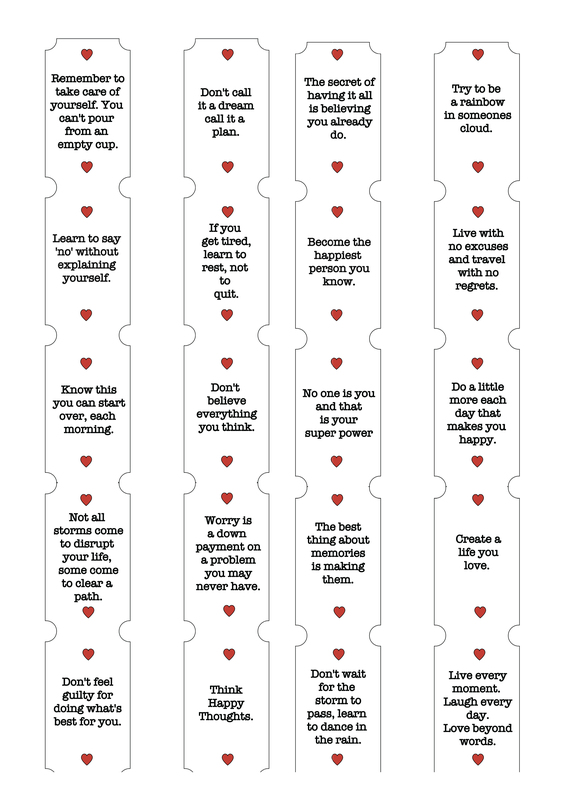 Give with love… or keep for a personal positive reminder each day. 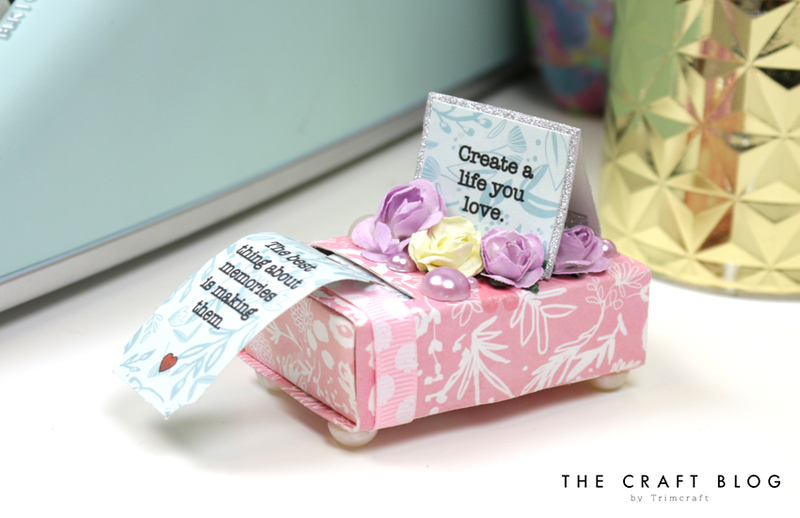 Will you be creating your own matchbox craft? We’d love to see so don’t forget to #Trimcraft when uploading to social media and to share your die cutting crafts in the Inspiration area! This is so sweet and such a great idea to cheer someone up a bit. What a great little inspiration box.